With the recession just beginning, the University of Michigan's American Customer Satisfaction Index dipped only a slight 0.1 percent in the third quarter of last year, to a score of 75 on a scale of 100. Food companies fared better than most manufacturers, and perennial leader H.J. Heinz Co. dropped a point but still led all companies with a score of 89. Despite having just ended a period of rising input costs passed along to consumers, the food manufacturing industry improved 2 points to a score of 83. That put it in a tie with soft drinks and brewing, but behind personal care products (85) and pet food (84) in the nondurable goods division. Behind Heinz was PepsiCo’s Quaker Foods unit, which improved 1 point to 87. All food companies were close, with all scores in the 80s. Campbell Soup, the researchers singled out, dropped 3 points to tie with Tyson Foods (which gained 2 points) at the bottom of the food category. 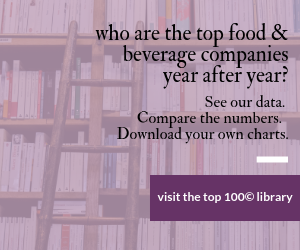 Soft drinks were listed separately, with Cadbury Schweppes (now Dr Pepper Snapple Group) leading with 87. Also separate was brewing. A single point separated all companies. Similarly closely packed was the pet food category. Nestle Purina and Mars led with 84 points each, and Del Monte was one point behind. Hills and Iams had 81 each. Click here for a table with all the companies’ scores.